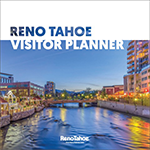 Have you ever wanted to experience Reno’s Midtown like a local? Below you can see what a typical day would look like while exploring the area. 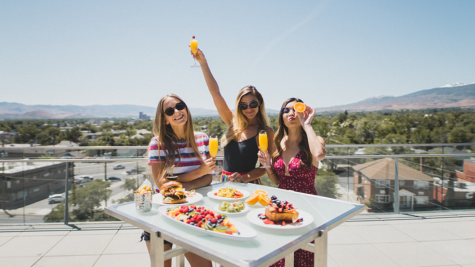 From breakfast stops to cute clothing boutiques, mural finds and coffee breaks, I gave insight to some of the best spots to see. Here’s a detailed recap of how this local takes on Midtown! Two Chicks is the golden nugget of Midtown’s breakfast scene. Whenever I’m in Midtown, I start my day here. It’s owned by the same two ladies who started Gourmelt Food Truck and what they’ve done with a breakfast menu will blow your mind. Everything on the menu is fresh from their sourdough pancakes to their biscuits and gravy. My favorite is the Rise & Shine sandwich from their lunch menu that has eggs, bacon, cheese and cream cheese on toasted rye bread. Midtown is getting more and more shops and I love it. Two clothing stores that I really like are Sierra Belle and Nomad Boutique. They live right across the parking lot from Two Chicks inside the shopping center called The Sticks. Sierra Belle is for the indie girl who sports hats, booties and isn’t afraid to wear suede. 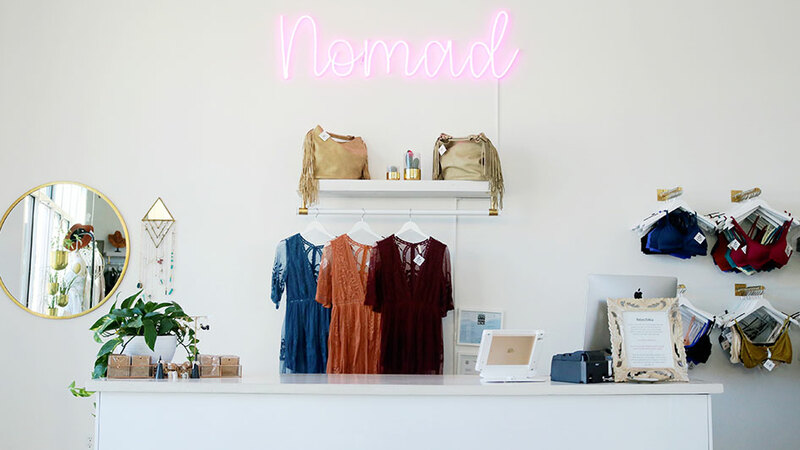 Nomad Boutique is full of florals, knit sweaters and the most beautiful dressing room space around. These are two must-stop places to shop when in Midtown. Be sure to also check out C.U.L.T.U.R.E. on the other side of Virginia Street. One of the hippest places to thrift in Midtown is Junkee Clothing Exchange. They’re the local’s favorite for costume shopping, and half of their store is dedicated to vintage antiques. Whether you’re looking for a statement outfit or for some eclectic home décor, it’s a great place to explore and experience. The Antique Mall just down Virginia Street is a great place to hit up as well. Sundance Books & Music is on the corner of California Avenue and you can’t miss it’s dreamy aesthetic. It’s located in a beautiful white building with tall columns and a gorgeous front yard. Inside, the two-story layout offers new and used books in all categories. They even have a wall dedicated entirely to Nevada. The space is beautiful and so worth a visit. Coffee is my favorite thing ever, morning or night! And Old World Coffee serves some of the best. With their simple menu design, cocktail-inspired drinks and modern storefront, you can’t help but pop inside for a drink. They’re always friendly and helpful, and always have some local artwork on display. Murals are all over the Midtown area and they help bring the culture alive. 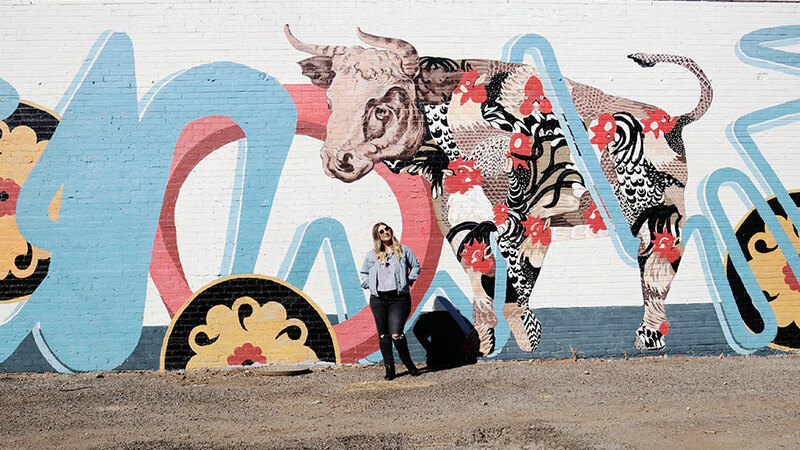 Reno has a special place in their hearts for our muralists and we even have a mural expo. Walk the streets of Midtown and you’re sure to come across some beautiful street art. Some of my favorite muralists in town are Erik Burke and Mike Lucido. Succulents and cacti are all the plant rage nowadays. Who knew plants could party? Natural Selection, located on St. Lawrence street, it’s where I personally buy all of my plants and their porcelain homes. 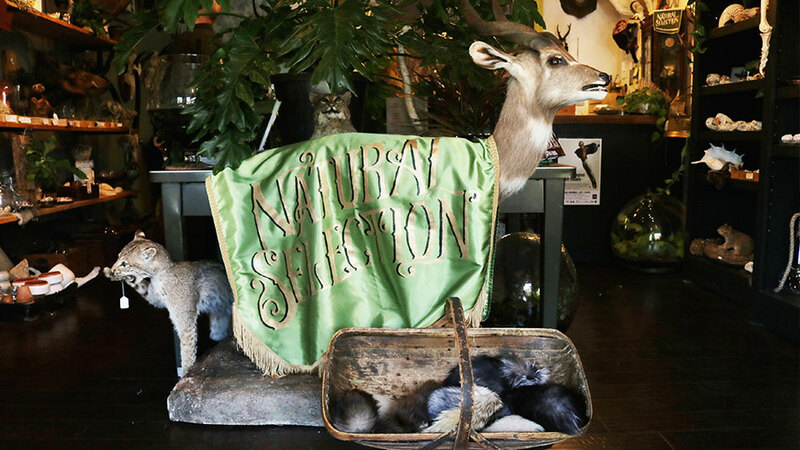 The shop has a wide variety of plants to choose from and is also a place where you can buy taxidermy items. The owner is very helpful with letting you know how to care for each plant once it’s yours, which makes this place extra great. A sweet treat in Midtown can be found at Simple Ice Cream shop that is owned and operated by Junkee Clothing Exchange and located right next door. Whether you want just a scoop of ice cream, a custom-made cookie ice cream sandwich, or their signature donut ice cream sandwich, they like to keep it simple. 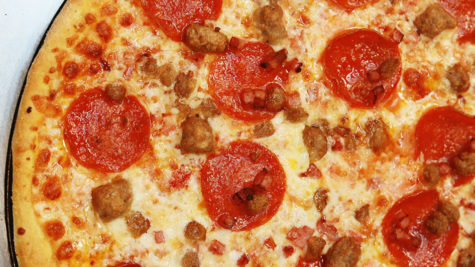 Just a few flavors and a few dollars, and your taste buds will thank you later. The decorations on the wall of the corner shop are quite entertaining as well. Midtown truly has so much to offer. This was just one day and one way to experience a sliver of what you can truly see there. Places like Midtown Eats, Finbomb Sushi, Noble Pie Parlor and Sup are great spots to enjoy a meal. 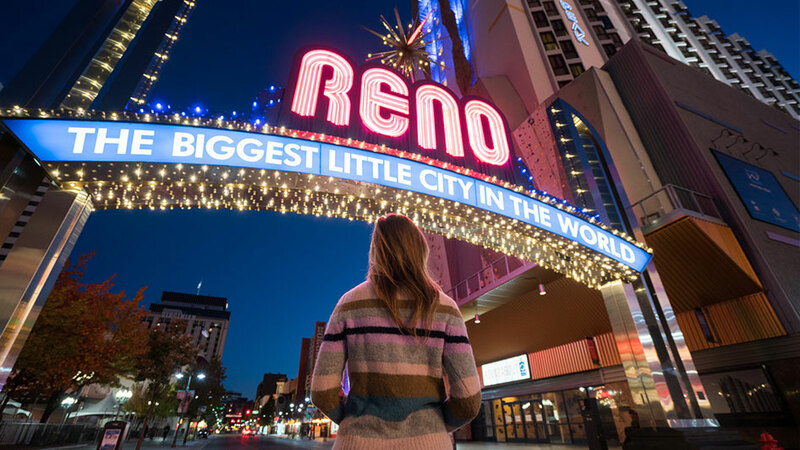 Tattoo parlors, bagel shops, bars, furniture stores, salons and more all live in the heart of Midtown Reno. You could spend every day down there for a week straight and still have more to explore which is why I love it so much! Thanks for tagging along on my Midtown adventure. Follow along on for more Reno behind the scenes – AbbeyKay and AbbeyKayBlog!